(0%) 0 of 4 customer would recommend this product to a friend. Max. Chlorine Production Per Day = 3.18 Lbs. I just bought a 60k size unit. I thought it would sample and add chlorine as needed, but looks like it will just run a percentage of the time that I set it via the dial. Is there a guide to what percentage the unit should run at over the summer or anytime really? Hi Wesley, we would suggest starting at 50% output and then after 3 or 4 days test your chlorine levels. 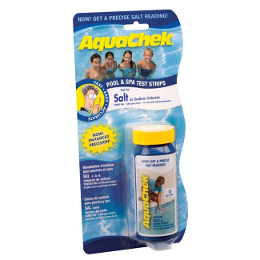 We would suggest that your chlorine is at 3.0 PPM so if when you test you are above 3.0 PPM then adjust your percentage down and retest in a few days, you would continue to adjust and test until you get dialed into that 3.0 PPM. Normally the first week you will get the system dialed in and then after that, you should not need to adjust the chlorine output. I hope this helps. Does this chlorine generator monitor chlorine PPM and generate as needed(assuming salt water chemistry is within range), or do you just program a set duration of time for the unit to generate chlorine? These units do not monitor chlorine levels and yes you set the percentage of time the unit generates. What's the length of the cable that connects the cell ? Hi. The cell cable is 12ft long. A Answered on 10/3/2018 by InyoPools Product Specialist Lennox H.
Hi, Joe. The cell is 12-1/2" in length. You will need approximately 14"-20" of space in order to install the cell and flow switch. Will a heater with a cast iron core cause trouble with salt water? Hi, Doug. It will not if you use an Anti Electrolysis Zinc Anode. I currently have a Jandy system with a Jandy pda. Could I leave the Jandy control box to keep the remote functions for the pump and cleaner and install the Chrystal Pure as a stand alone salt system? A Answered on 6/28/2018 by InyoPools Product Specialist Patrick P.
Hi JJ, Yes you can do as you explained. I have this system set up similarly with my Aqua Link and the Crystal Pure runs great as a stand-alone unit in conjunction with the AquaLink. I have a 45,000 gallon, heated in ground pool using bleach and acid for control. I spend about $500 per year on bleach and $75 on acid. What size salt unit would be required for operation? Also, about how often do the generator and control units need to be replaced? I want to be able to justify the changeover through economics. A Answered on 5/22/2018 by InyoPools Product Specialist Patrick P.
Hi Mitch, for your 45,000-gallon pool we would suggest this PL7703 60,000 Gallon Salt System. The PL7703 has a salt cell that is rated at 7,000 hours. If you live in the Northeast you probably have your pool open 6 months out of the year (180 Days), for your sized pool you will probably run the system at 60% so if you run your pump 10 hrs. per day this would mean the cell is on 6 hrs per day. 6 hrs. x 180 days = 1,080 hrs. per year resulting in a lifespan of about 5-7 years for the cell. The replacement cell is currently $449 and in your case would be replaced every 5-7 years. The power supply under normal operating conditions would not need to be replaced. I hope this helps. I have an in ground pool and the plumbing is 1 1/2 inch PVC pipe. The instruction manual and the installation guide mentions 2 inch PVC pipe. Can I use an adapter to install this Salt System? Thanks for your help. A Answered on 4/25/2018 by InyoPools Product Specialist Hector F.
Yes, you can use a reducer fitting to install this system. Hi! I have a 24 x 50 pool from 42 " to 9 ft deep. is the 60000 cell big enough if you want it to be oversized? A Answered on 4/18/2018 by InyoPools Product Specialist Patrick P.
Hi Cynthia, Based on the measurements you provided your pool is about 55,000 gallons and the PL7703 60,000 Gallon model would be great for you. I have a similar sized pool and I use the 60,000-gallon model and it has been more than enough. I have a 30ft round above ground pool it’s 52 inches deep all the way around. Can I use the inground 60000 unit? Hi Phil, In the case of salt chlorine generators bigger is better so if your pocket book can afford the 60,000-gallon system then that would be great. However, you would be fine with the PL7700 40,000 Gallon Salt System. How many pounds of Chlorine is generated from this system? Also, what is the life expectancy of the cell and how much is cell replacement? Thanks! A Answered on 4/5/2018 by InyoPools Product Specialist Patrick P.
Hi Bob, the max chlorine production for this system is 3.1 lbs per day. The salt cell has a 7,000 hour life so if you run your pump 8 hrs per day and you have the salt system set at 50% then the cell would be running 4 hours per day when you have your pool open. The replacement cell is roughly $400. A Answered on 3/23/2018 by InyoPools Product Specialist Patrick P.
Hi Victor, as long as your light is bonded properly this salt system will not mess with your pool light. As an extra layer of protection for your light you may want to consider this Pool Light Zinc Anode. The pool light zinc anode is designed to attach to any pool or spa light. The sacrificial zinc anode gives up its’ ions before the metal in the lights extending the life of any underwater light. No modifications to light required. I have a 14 by 40’ pool. Approximately 3 1/2’ shallow end and 5 3/4’ deep end. What size salt system do you recommend? A Answered on 2/7/2018 by InyoPools Product Specialist Lennox H.
Hi, Gary. I will recommend a unit that can treat at least 40,000 gallons of water. Hi, I am wanting to change over to Salt from chemical, what else do i need to but to change my pool over besides new sand and flushing my system ? A Answered on 11/28/2017 by InyoPools Product Specialist Hector F.
Ideally, you would want to make sure that the system you purchase has extra capacity in contrast to the number of pool gallons that you have. Preferably at least 10-15k gallons worth, install the system and make sure that the salt and conditioner levels are within range. Hi, Darrin. The controller will need to be set to the T-15 Cell size as shown in the CrystalPure 3.0 Salt Setting Instructions. Pete, The PL7703 comes with it's own cell. It can not be used with another manufacturer's cell. Can this system use a Hayward Aqua-Rite salt cell? They look very similar. Thank you. Yes this system can use an AquaRite salt cell. How many pounds of chlorine is the 60,000 gallon system capable of producing in an 8 hour run cycle? Hi Chris, On 100% output the Crystal Pure PL7703 produces 3.179 Lbs. of chlorine per day. I have a 40k gallon pool and I'm concerned that the 60k capacity SWG will still be a little undersized. I'm trying to keep my VS pump run time down. How many hours is the 60k capacity based on? Hi, JN. This unit can produce 3.18 lbs of chlorine at 100% output if it runs for a 24 hr time. Where can a replacement cell be purchased? I was only able to fine 20000 and 40000gal available on your website. A Answered on 5/14/2017 by InyoPools Product Specialist Lennox H.
Hi. The replacement cell for the PL7703 is not listed because we recently started carrying this size. It will be available in the future. DoI have to have the sand filter for the saltwater system? Hi. No, you can use any type of filtration system with a saltwater system as long as the body is not stainless steel. A Answered on 5/4/2017 by InyoPools Product Specialist Patrick P.
I would suggest the 60,000 gallon PL7703 Salt System as it is always good to oversize your salt system as you will have the ability produce more chlorine if you ever getting into demanding conditions. For normal operation, you will have your system dialed down to a lower production setting then the 40,000 gallon system which will have the benefit of prolonging the life of your salt cell meaning you will have longer periods between needing to replace the cell. Hi Rich, The parent company for this salt system is CF Electronics - Tech Life. The manufacturers warranty is done directly with Inyo which is nice since you don't have to go through the manufacturer for warranty. CF Electronics is one of the largest suppliers of salt systems in the USA and parts for this system will be around for quite some time, at least 10 years. Followed simple instructions and installed the salt system in-line and in the pool pump electrical panel. Added salt to the pool as instructed. My pool only used 4 bags of salt. And now my pool has been crystal clear and clean! Love it! Installed salt cell and electronics was a piece of cake. Simply follow the instructions and this job paid for the item itself. Love this system. Easy to instal and operate. My first of crystal pure brand and I recommended it to other customers.